Vine is one of many platforms taking center stage that offers short-form and to-the-point content that also gives personal glimpses at brands, artists, and of course (and more commonly), just the everyday person. It's become almost like a short-form vlog, and it's a really fun and unique way to get messages across. Six seconds is all you have on this platform, so it becomes the ultimate "elevator pitch" for your work and personal brand. Along with Snapchat, Instagram, and the age-tested, character-limited Twitter, Vine is just another channel that artists can utilize to sell their personal brand and their work. What is this Vine thing, and how do I use it? Vine is not only six-second videos you post, but also a stream of clips from users you follow that you can share (revine) and interact with. There's also a "loop" feature which is great for promoting your work and letting fans know about your product. Try posting a fun riff or a few bars and having that loop appear on your fans' feeds. Similar to Twitter and Instagram, tagging plays a huge part in Vine. Tagging your work properly will ensure that you're off to a good start and that people are seeing your work. Success on Vine is measured by interactions – so comments, revines, and of course, followers matter. This is a casual and fun channel for you to interact with fans, so it should be relaxed but effective. One of the best things about Vine – and what seems to be a trend across digital platforms in general – is playfulness. A lot of artists will post funny videos or quick little rants or thoughts. This is a big part of your marketing! While, yes, you can use Vine as a way to promo a performance, be sure to be fun, personable, and interact with fans. Some ways to integrate Vine with your music could be posting clips of the crowd at your shows, a snippet of your song playing, or a picture of a banner for a show. Another way to ensure engagement is by revining and commenting on Vines by other similar users and hopefully prompting them to do the same. So now that you know what Vine is and how to use it, here are three simple tips to get your posts in front of your fans! If you notice brands using Vine, it's all about subtlety. There are never any hard sells; instead, there are often fun, interactive posts that may subtly bring up the brand's products (albums, tours, new singles). Check out this Vine from Paul McCartney. It forces interaction rather than just videos upon videos of himself selling his work. Vine is one of those outlets where it's good to be seen. Sure, don't spam your channels, but also don't be too invisible. Post one or two times a day, even if it's revining fun videos and commenting on other videos. It's great to be active and ensure that you're keeping consistent and creating a presence. One way to assist in this is by preparing shoots in advance. Yes, it sounds canned, but just make notes of when and where you can shoot videos for content like a new show, rehearsal, or recording session. All are great places to take a note of recording. The best thing about Vine is that it's Vine. It's six-second clips and users don't try to use it as anything else. The beauty and creativity exist in this form of simplicity. 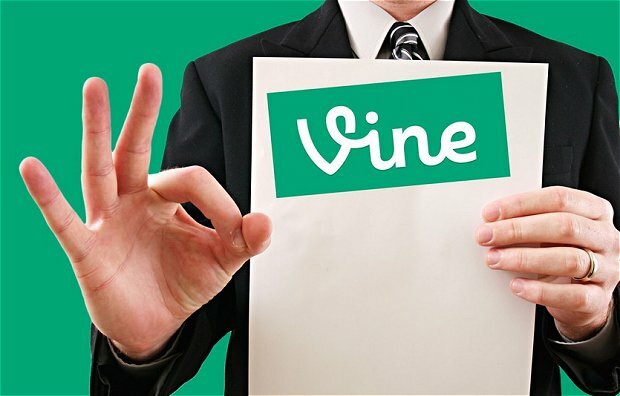 At its heart, Vine is really a video blog, just short form. So be sure to be active, consistent, and most of all, have fun!